How Did I Learn About the Family Dynamics I Write About? In my Psychology Today blogpost of 10/14/13, Don't Ask, Don't Tell, I discussed how patients in psychotherapy do not volunteer a lot of information about their family dynamics unless they are asked very specific questions - and often not even then until (and unless) they have formed a trusting relationship with their therapist. I mentioned the case of a patient who was smart enough to have been a Ph.D. candidate, came in complaining of anxiety, and did not think it relevant to tell me until months into therapy about the daily conversations with her mother that literally made her nauseous. So, therapists who think that what they see and hear in the office is indicative of what is really going on in a patient's life may be sadly mistaken. For example, a woman may complain that her father is "controlling." The therapist should want to invite the father in at some point to see if this is accurate. Most do not. However, even if the therapist does this, both of them may then mislead him or her. The father may at first appear to be anything but controlling - telling the therapist about how he gives the adult daughter money to do whatever she wants without obvious restrictions, and never stopping her from doing anything she wants. What neither might mention, however, is that he always calls her incessantly on her cell phone whenever she goes anywhere! When I was in training as a therapist during my psychiatric residency, psychoanalysis was the king of psychotherapy paradigms, and I was not taught about how to ask my patients about repetitive dysfunctional interactions with family of origin members occurring in the present. A lot of both analysts and CBT therapists seem to think that patients' problems reside entirely within the confines of their own heads, as if we are not social organisms at all. 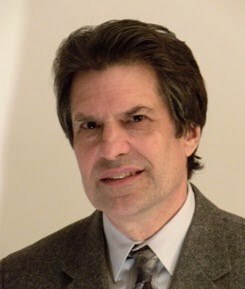 When I write in my blogs about the types of family dysfunction that I have seen with my patients, a frequent criticism I get is that I am taking patients at their word, and that since patients often distort things, I am surely getting a distorted picture - which by implication must have led me to form distorted ideas about what actually is and has been taking place. So how do I know that these patterns are real? Well, let me tell y'all how I discovered them. (Hey, I've lived in South now for over twenty years). When I was a beginner as a therapist, I kept noticing that my patients usually did not respond to various interventions in the ways described in the psychotherapy literature. I would sometimes have some success with these interventions, but the results were often rather inconsequential. So in response I started reading about other paradigms one at a time, and each time, I would have the same experience. Perhaps I was not doing them right, but other therapists would tell me that they noticed the same limitations. I somehow stumbled on a version of a therapeutic question that had, unbeknownst to me, first been proposed by Alfred Adler, one of the three founding fathers of psychodynamic psychotherapy. I had started to ask my patients why they were not employing the obvious solutions to their problems. If I could think of an obvious solution such as "why don't you just leave your abusive husband?" no doubt the patient has already thought of it, and has decided against it for some seemingly strange reason. When a therapist asks a question like that, the first answers he or she often gets in response is one described by Eric Berne. It goes something like, “Yes, I could do that but…” followed by some lame excuse for why they cannot do that. This is known as the game of Why Don’t You – Yes But. I decided I would play my own version of the game that I called Why I Can’t – Yes But. 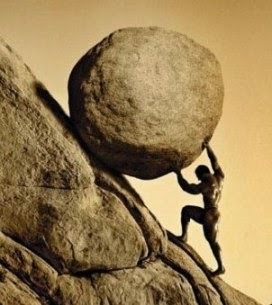 Every time I heard a yes-but answer to my original question, I would counter with, “Yes, but you could handle that obstacle by doing [such and such].” This solution would of course also be yes-butted by the patient with another lame excuse - for which I would provide another obvious solution. An example from my last book: one adult female could not seem to hold a job and always seemed to end up going back home to live with and depend upon on her abusive father and inadequate mother. I knew other relatives also lived in the home but I had no clue as to their significance. The patient was bright and had made it to the upper echelons of a sport that she liked to play, so I knew she was highly capable of holding a job. Whaaat??? She never thought to mention this before???? So, a bit off guard, I said, “Have you thought about reporting him to child protective services?” She replied, “Of course, but if I did that my mother would end up on the street because she cannot support herself." Her mother would suffer, and it would be all her fault. No doubt she would be blamed by the family. Well, lessee. She could handle that obstacle to holding a job by…by…by…er, how exactly could she handle that problem? I had no answer. She could write her mother off, I suppose, but since when is caring about the survival of family members or her niece's safety a bad thing? This was a really devilish conundrum. As mentioned, I also wondered why she had not told me about this in the first place. That was the moment that I was first confronted by evidence that family members may be acting for altruistic motives rather than selfish ones, and that family problems might be incredibly difficult to solve. I then found an easier way to get to this answer than playing a long game of yes-butting: the Adlerian question: What would happen if I could wave a magic wand and you suddenly got better and stayed better? At first, patients would often answer with such non-answers, "I'd just find some other way to screw things up" or "I cannot even imagine what that would be like." I would not accept those "answers" and pressed on. Then I started getting the real answers. But were they really real? Was I just being fooled by my patients with distorted perceptions. Well, just so readers know, I do not just take them at their word. I began to have conjoint sessions with the patients and their parents. I have had both the mothers of patients with BPD and their daughters with BPD as patients in individual therapy separately, some at the same time, on several occasions. As a psychotherapy supervisor, I have watched videotapes of the mother of a daughter with BPD in a session with one therapist and the daughter with another therapist describing the very same interactions. Even more revealing, I have had patients who were sick and tired of being accused of distorting everything bring in audiotapes of phone conversations with their parents when the parents did not know they were being recorded. Illegal in some states to record, but not for me to listen to. I heard some of the most unbelievable things come out of their mouths. In individual sessions, I listen very carefully to what the patients say and ask follow-up questions about anything that seems contradictory - when the patients with BPD are in "spoiler" mode (which is when they are distorting things, but sort of on purpose), they do that all the time. But knowing a few tricks of the trade, it's easy to get them to stop doing that. One still needs a good theory in order to interpret the behavior that I had been observing. Luckily, as I started to try to make sense of the evidence before me, I came across some relevant ones. For example, there was Sam Slipp, who wrote about the dysfunctional family roles of savior, avenger, and go-between. And then there was family therapy pioneer Murray Bowen, who wrote about family emotional processes and the intergenerational transmission of dysfunctional family patterns. So no, my ideas about family dynamics do not come just from listening to my patients alone. There has been an increasing debate about whether doctors are using "evidence-based medicine" or instead are merely going by conventional wisdom or listening to pharmaceutical company sales pitches. Often, as I have discussed several times, the so-called "evidence base" consists of randomized controlled studies (RCT's), while clinical experience is written off as "anecdotal." An anecdote is a report of a single, or at most a few, specific incidents, such as a patients' seeming to get better after taking a medication, along with the interpretation of the event by an allegedly biased observer. Besides the fact that one or two cases may not be representative of a psychiatric condition, and that other causes for the observed effect have not been ruled out, the description provided by the source of the anecdote may be incomplete or incorrect. And his or her conclusion may be logical, or it may be fallacious in any of a variety of different ways. Widespread clinical experience — or the clinical experiences of a wide variety of practitioners who are known to do careful diagnostic work-ups and to follow patients closely — is somehow also written off as "anecdotal," but this is just nonsense. First of all, as I discussed in a previous post, in psychiatry there are almost no objective diagnostic blood tests or direct measurements of brain function that can tease out the difference between neuropathology and normal neural plasticity in response to environmental factors. Therefore, conclusions drawn in RCT's are based entirely on the self-report data from subjects or by the potentially biased observations of the experimenters. They are just as much anecdotal as widespread clinical experience in that sense. Actually, widespread clinical experience is better than most RCT's in determining the efficacy of drugs. It employs a sample size far larger than all the RCT's on a treatment put together. 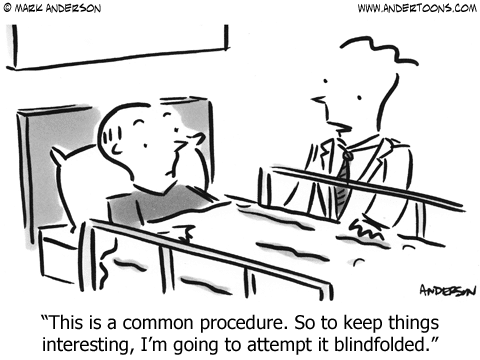 Also, there are several important limitations with RCT's. "Most commonly any such disconnect is one of degree, with the medication being progressively clinically judged as less or more effective. Less commonly, the medication may be judged to have a different therapeutic 'signal' than for its formal indication. Two examples of the latter are the selective serotonin reuptake inhibitors (SSRI's) which seemingly modulate emotional dysregulation as much as they have antidepressant propensities, and some atypical antipsychotic drugs having utility in augmenting antidepressant medications and in having mood stabilizing propensities rather than being confined to the management of psychotic conditions. Any such disconnect can reflect multiple factors, as considered now in relation to antidepressant medications. An antidepressant's 'efficacy' is evaluated from RCTs with the 'control' treatment being either a placebo or a comparator drug. In such trials, the duration is often limited to several weeks, the sample constrained by inclusion and exclusion criteria (e.g. non-suicidal, no substantive co-morbid conditions) that do not hold in clinical practice, and which may, depending on recruitment strategies, be weighted to those with potentially spontaneously remitting and/or less severe conditions. RCT-evaluated efficacy may he overestimated using a lower-than-usual dose of any comparator medication, or underestimated if the antidepressant is prescribed at what might be later determined to be a suboptimal dose. Biases may emerge if the sponsoring developers provide data only on trials generating superior findings. " In studies used to evaluate medications for treatment of various mood disorders, there is another glaring problem: the use of inadequate and incomplete diagnostic evaluations of the subjects. I have written several posts about the nonsensical expansion of the diagnosis of bipolar disorder, in which researchers lump together Bipolar I with the bogus disorder Bipolar II. Readers of this blog know my attitude about the latter: In my practice since I started training, I have seen four patients who actually met the DSM criteria for this supposed disorder when they were interviewed carefully and followed closely, and all four responded to lithium, suggesting that they were just milder cases of Bipolar I. And most patients who were given that diagnosis by previous psychiatrists did not have bipolar disorder at all but had the mood instability characteristic of certain personality disorders. Some studies have shown this to be true. Worse yet, some studies include patients diagnosed with unspecified bipolar disorder and "bipolar spectrum disorder." Neither is defined clearly nor is there any agreement on exactly with what criteria these diagnoses are to be made. So the RCTS's are basically comparing apples to oranges. This particular problem is not discussed clearly in the Parker and McCraw article. 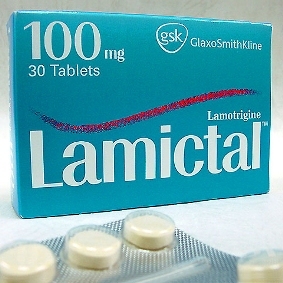 In fact, they conclude that the anticonvulsant drug Lamictal (lamotrigine) is probably not effective in bipolar I disorder, but probably is effective in bipolar II disorder - which probably means it may help the affective instability of patients with personality disorders. This puts this drug as a possible alternative to SSRI's, which the authors themselves note "... seemingly modulate emotional dysregulation." Emotional dysregulation and affect or mood instability are basically the same thing. (Combining SSRI's and a long acting benzodiazepine such as clonazepam is even more effective in "raising the bar" on the strength of environmental stimuli required to set off an episode of affect dysregulation, as well as in decreasing self-injurious behaviors like cutting. There are no RCT's on this combination for these symptoms; the drug companies won't do them because most of these drugs are generic and the drug companies probably know that it is effective but do not want docs to know this. However, widespread clinical experience by those doctors who know the difference between bipolar disorder and borderline personality disorder backs me up on this). The history of the FDA approval for the drug Lamictal for bipolar disorder is bizarre. Its manufacturer first touted it as a treatment for the depressive episodes in bipolar disorder, although later studies showed it to be ineffective in the acute phase of bipolar depression. Then, when it got the FDA approval for psychiatric use, rather than being given the indication for prophylaxis for (prevention of) episodes of bipolar depression, it was given a general indication for bipolar disorder as a whole. This, even though there was zero evidence that it prevented episodes of mania, or that it was useful in acute mania. In fact, most of the studies in bipolar disorder with the drug were based on a rather flawed outcome measure. The drug was found to delay, but not to prevent, the emergence of another bipolar episode. Whether the episode was a depressive episode or a manic episode was not specified in the majority of these studies! Furthermore, lithium — the standard prophylactic treatment—when used at the dosages which lead to the correct blood levels of the drug in patients who respond to and can tolerate it (about 80% of bipolar I patients) completely prevents the re-emergence of manic episodes. In those cases, the measurement "time until the next manic episode" would essentially be the patient's entire lifetime. Delaying episodes of bipolar disorder is better than having them more frequently, but why would you use a drug to do that when there is another drug that can prevent them from happening completely? Why Does Psychotherapy with Patients With Personality Disorders Take So Long? The type of psychotherapy I do with my patients who suffer from personality disorders is called Unified Therapy. 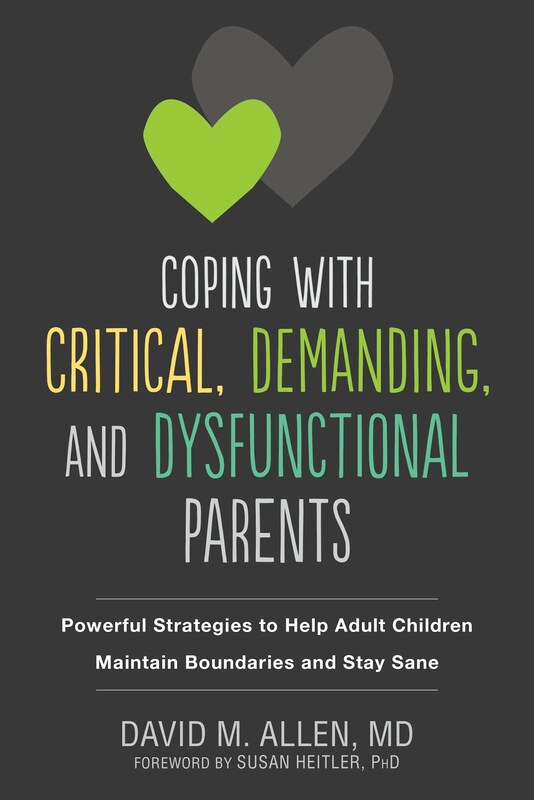 It integrates ideas from all of the main schools of psychotherapy about both the causes and the treatment of significant and ongoing self-destructive as well as anxiety-producing and/or depressogenic behavior patterns. Briefly, it posits that the parents in the patient's family of origin experience ambivalence and emotional conflicts about the demands of certain family roles that they have learned are required of them. They learned these roles from their own families of origin. The roles were initially culturally determined. As a consequence of this ambivalence, they make contradictory demands on, and give double messages to, other members of the patient's family of origin about what is expected of them. The ambivalence in the parents, in turn, is created by learned and ingrained family rules which became obsolete when the ambient culture changed quickly. In other words, the family rules lag behind changes in the requirements of the ambient culture. The double messages are believed to reinforce (in the behaviorist sense and on a variable intermittent reinforcement schedule) the patient's intrapsychic conflicts and the resultant dysfunctional behavior. The patient's responsive behavior then simultaneously reinforces ambivalent, dysfunctional behavior in the rest of the family. Most of the psychotherapy treatment protocols for significant personality disorders practiced today require long-term therapy, and my model is no exception. It usually takes between 70-120 sessions - sometimes more - which take place at a frequency of once every two weeks (most other therapy paradigms are based on weekly sessions). I wish I knew of a faster way to help these patients. If I could find one, please believe me, I would be the first to employ it. So why does it take so long? The first reason is that, in the beginning of treatment, the therapist has to gain the trust of the patient. Most of these patients have been betrayed in one way or another by their own close family members - the very people whom they are supposed to be able to trust the most. Furthermore, they feel ashamed of both their own and their family's behavior. Even more important, they feel guilty if they don't keep the family's deep dark secrets to themselves. Given their experience, they would have to be idiots to trust a therapist - a complete stranger - right out of the box. Even after they begin to open up, it also takes quite a while for the patient and therapist to understand what motivates all of the patient's family's bewildering behavior. Even figuring out the right questions to pose can be a challenge for the therapist. The reasons that problematic patterns exist usually involve historical events that have taken place over at least a couple of generations, and sometimes start even further back than that. Important historical events which might explain them better may not be discoverable because there are no longer any relatives alive who are old enough to know about them. However, these are not the primary reasons for the length of therapy. The main reason is because personality disorders are not only highly complex and complicated, but extremely well ingrained into the brains of sufferers. As I have discussed in previous posts, behavioral reactions to the social environment are literally branded into the primitive part of their brains known as the limbic system over many years due to repetitive interactions with parents and/or other primary caretakers. Patients may in some cases change their problematic behaviors fairly quickly over the short term, but the changes often do not last. Doing short-term interventions may seem to work if one does not follow the patient for very long, but these interventions work sort of like a fad diet. Those who go on fad diets lose a lot of weight quickly, but if you look at them a couple of years later, they usually have gained it all back. Often they gain back even more weight than they initially lost. Psychotherapy outcome studies that do not look at the frequency of certain behavior patterns and psychological symptoms two years after treatment has ended are highly misleading. Dealing with family members who feed into the patient's self-destructive behavior, whether inadvertently or on purpose, leads to a whole new level of complexity. Their behavior patterns are also branded into their brains for the very same reasons! Not only that, but as family-systems therapists first pointed out decades ago, the whole group of family members automatically pushes back against someone attempting to change the old patterns. This is called family homeostasis. Everyone literally gangs up on the poor patient with invalidation of their new behavior. It is accompanied by the implicit instruction, "You are wrong, change back." I listed some of the ways this is done in a previous post. Altering these dynamic family interactions is like a game of three dimensional chess, only with even more dimensions. Whenever I coach a patient on strategies concerning how to respond to a parent's problematic behavior, each move leads to a counter-move on the part of the parent which is designed to keep everything unchanged. These counter-moves do not necessarily occur immediately after the patient initially does what we have decided on in therapy sessions, but may occur suddenly at any time - often when least expected. For therapy to work, the therapist and patient have to come up with a whole series of moves and responses in order to address each of the countermoves. Countermoves may also include a parent trying to rope in a third party - such as the other parent or a sibling. Sometimes the patient and I can figure out two or three of these moves in this game in advance, but not usually. Furthermore, all of us have a seeming natural reluctance to discuss sensitive family dynamics with our parents and other primary attachment figures, so this whole process is usually interrupted by significant periods of time in which patients cannot seem to get their homework assignments done before the next session. This type of therapy therefore requires a major investment of time and money and energy. It requires courage, nuance and subtlety as well. The alternative, however, is not only the continuation of the patient's personal misery, but the likelihood that dysfunctional patterns will be passed through to future generations of the patient's family. 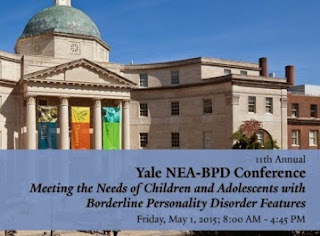 Borderline Personality Disorder: Children Burdening Parents, Or Parents Burdening Children? I had a telling experience while trying to get a paper published about how the parents of offspring with borderline personality disorder (BPD) give their adult children a lot of double messages (The instrument I used and the results of the study are described in a previous post). The experience indicated that the peer review process by which other practitioners review an article for scientific merit and accuracy may sometimes be more political than scientific. At the time, I belonged to, and was the treasurer for, a research group in psychiatry in the field of personality disorders that had editorial control of a journal, the Journal of Personality Disorders (JPD). For the purposes of gaining more financial support for their organization and its research, this group of researchers had been cultivating very close relationships with two "support groups" for the parents of people diagnosed with BPD - Treatment and Research Advances National Association for Personality Disorders (TARA), and the National Education Alliance Borderline Personality Disorder (NEA-BPD). 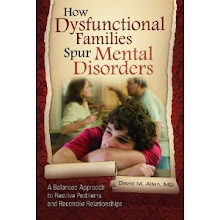 As readers of this blog must know by now, my take is that the disorder is produced and maintained by certain ongoing repetitive dysfunctional interpersonal interactions with patients' families-of-origin members, particularly with primary attachment figures like parents. My paper showed that adults with the disorder reported frequent ongoing double messages from their parents and other attachment figures. The results proved to be highly, highly significant: BPD patients reported significantly more contradictory responses than did both patients with other psychiatric disorders (p=.004) and "normals" (p=.003). And this was with a small sample size that makes the results even more impressive. Nonetheless, the JPD turned down it down. Flat out rejected it. That the article had merit was evidenced by the fact that it was subsequently accepted for publication by a mainstream psychiatry journal, Comprehensive Psychiatry, with a broader readership. I cannot prove it, of course, but I suspect that the reason the paper was rejected was because the group was cultivating the relationship with the parent support groups and did not want to take any chances on alienating them. Further evidence for my suspicion took place a short time later, when I was one of the peer reviewers for a paper for the JPD by some other authors. This paper detailed what was said when the authors interviewed the members of the parent support groups about their "burdens" in having to deal with an adult child with the disorder - as if the parents had nothing to do with the child's problems in the first place. Research has consistently shown that a history of severe physical and/or sexual child abuse is one of the most frequently-seen risk factors for the disorder - although not all such parents of people with BPD had been physically or sexually abusive. A significant minority of them in fact exhibit a rather virulent version of highly over-involved, so called "helicopter" parenting. Not only are these parents over-involved with their offspring, but they also feel they are burdened by them. And according to this study, by their own admission! This is the source of a borderline-ogenic double message, "I'm obsessed with you, but I feel that you are big burden." If children believe that their parents need their children to be burdensome, then that is what the children will become. Far be it for a child to deprive a parent of a cherished role. After a while, it becomes difficult to tell who is doing what to whom to cause burdens, because the adult children and the parents feed into one another's dysfunctional behavior simultaneously. I refer to this phenomenon as dialectic causality. My review of this other paper pointed out that the members of the support group who had been interviewed most likely fell into the over-involved rather than the abusive category of borderline-ogenic parents. After all, parents who had, for example, sexually abused their children were highly unlikely to join a parent support group (except perhaps the False Memory Syndrome Foundation, which would support them in their denial). Therefore, I recommended that the authors should mention that the sample they interviewed was highly likely to be a somewhat biased sample. The paper was eventually accepted and published with almost no mention of this irony at all!